Ella Baker has always loved the Idaho ranch where she spent part of her childhood, but a near-fatal accident and her parents’ divorce ensured that she spent her post-accident life mostly in Boston. When her father is diagnosed with Parkinson’s, Ella returns to Pine Gulch, Idaho, to help him run the ranch, but her father resists the idea. He still thinks she belongs back in Boston with her mother and stepfather and the cultural opportunities city life affords. All the esteem and appreciation that Curt Baker denies Ella, he gives freely to neighboring rancher and his co-president in the cattle growers association, Beckett McKinley. It doesn’t seem fair that Beck has the respect Ella wants and the ability to raise her temperature with his rare smile. Beck McKinley is as eager as Ella’s father to see her return to Boston. He is not at all happy that his attraction to Ella only grows each time he sees her. He was badly burned by another city girl who was unsuited for ranch life and unhappy with Beck’s lack of culture. Stephanie died four years ago, but she left him and their two-year-old twin sons a year earlier. Beck is lonely and ready to find someone to share his life, but he is convinced that a petite music teacher who knows nothing about ranch life can never be that person. Ella, the music teacher at Pine Gulch Elementary School, agrees to direct the annual holiday-themed production at the Christmas Ranch. Her task becomes even more overwhelming when the McKinley twins, Trevor and Colter, “the bane of her existence” at school ask her to teach them a special song as a Christmas gift for their dad. Mischievous and rambunctious they may be, but Ella cannot resist the red-haired imps. She strikes a bargain with them: she will teach them a song if they teach her to ride a horse. Soon Beck becomes Ella’s riding instructor, and those carefully constructed barriers start falling. RaeAnne Thayne’s Christmas stories have become part of my Christmas reading tradition. I know I can count on two each year, and this is the second one. (The first, Sugar Pine Trail, is one of my 2017 top favorite holiday books.) 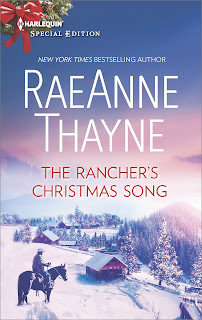 The Rancher’s Christmas Song is the sixteenth book in Thayne’s Cowboys of Cold Creek series, and more than half of them are Christmas stories. They are all small-town stories with a Western flavor and a lot of heart. This one is another that follows that delightful pattern. I liked both Ella and Beck and enjoyed rooting for their HEA, but I thought the twins stole the story. They certainly stole my heart. I have a particular fondness for unruly small boys with excess energy, a talent for mischief, and an undeniable sweetness. The ones who gave me that fondness are no longer small boys (although they are still sweet and occasionally still mischievous), but Trevor and Colter made me smile and remember. I loved them. I also loved the Christmas feel of the book and the visit to the Christmas Ranch and the old friends linked to that place. If you are looking for a Christmas romance that also features family, friends, and feel-good vibes, I highly recommend this book. 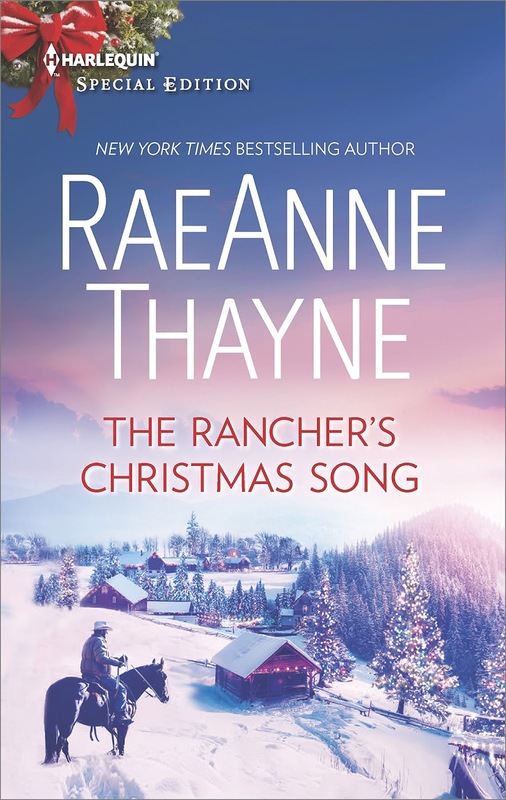 Don’t let the #16 scare you away, The Rancher’s Christmas Song can easily be read as a standalone. This sounds like a story I would love. My mischievous little boy has become a tall man with a wonderful sense of humor. Thanks for this terrific review. I love her books. I already have this on my wish list. Love her books! I have this one but don't start reading my holiday stories until closer to Christmas. Thanks for your review PJ. This sounds like the perfect read. I love all the Christmas reviews you are posting. I love RaeAnne Thayne's Christmas stories from Cold Creek. Looking forward to reading this one! Is this a brand new release (story)?